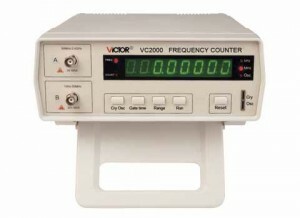 ·It is a high-resolution multifunction intelligent frequency counter based on microprocessor. · Frequency measurement, pulse counting, crystal measurement. ·4-step gate time, 5-range function select and 8-digit LED display. ·Working mode memorized, range and gate time can be set according to the requirement. ·Multifunctional, good quality and reasonable price.